Happy holidays from Panache! Thanks to all the great folks who have been so supportive of all of our wonderful bands. It’s been an amazing year. Can’t wait for 2016! 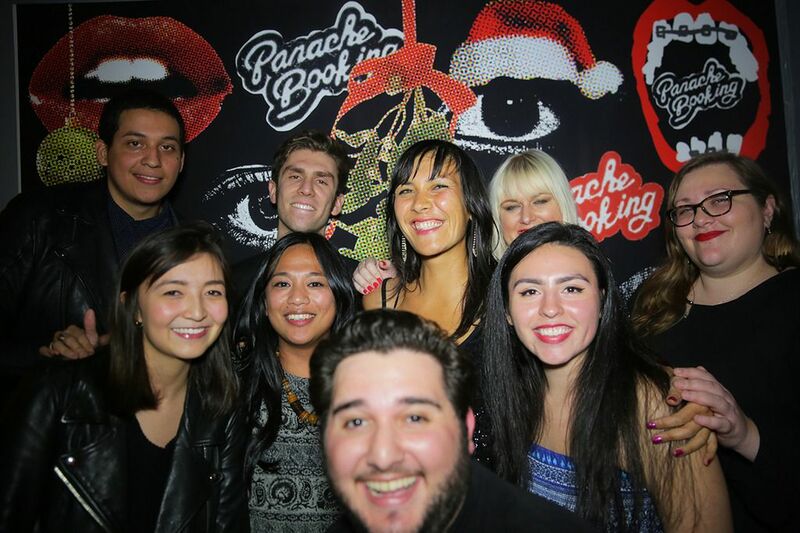 Here are some photos from our Panache Holiday Photo Booth at Our Wicked Lady in Brooklyn. It was a FANTASTIC night filled with amazing positive vibes. Photo Booth Portaits by Soojin Chang & holiday back drop by Debbie Allen! Panache Booking & New York Night Train are excited to announce that we will be hosting a Sweating to the Oldies (For Public Health) Dance Party w/ Dj Jonathan Toubin at Alphaville this Sat Dec 5th. All proceeds to benefit Planned Parenthood of NYC! Join us on the dance floor and boogie down for a good cause. Tickets available here.